Many producers think of vocals and instrumentation differently, when in reality, what is the voice but an instrument that can truly speak? In the same way you can find a hundred different melodies, layers of harmonies and a myriad of rhythms buried inside a three-chord progression, vocal samples are only limited by our creativity and imagination. Just like remixing or covering an old song or using licensed music samples, it’s all about making it your own and taking it to the next level to set you apart! Here are some tips used by top producers, including myself to make their vocal samples sound unique. Change the key – maybe move it from a major to a minor. 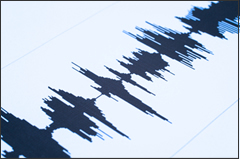 Chop up vocals - You can chop up vocals manually or by removing silence between words. Most recording programs have a feature that will remove silence. In Sonar, the Remove Silence feature allows you to split long audio clips into smaller ones, which opens a variety of creative possibilities. I use this feature when working with vocal sample lines that do not fit the timing of a new music track. After I remove silence, I move each word to fit the timing, thus creating a fresh new vocal line. It’s tedious, but the results are worth it! Layering vocals – Pan one dead center and the other two hard left and right or whatever sounds good to your ear. Add different effects to the ones you have panned left and right. In our previous blog “Major Turned minor using Cubase 5“, DJ Karas walks us through just one way of taking a cookie-cutter sample and truly making it your own. Using software such as Sonar, Pro-Tools, Logic Studio, Cubase 6, Propellerhead Reason 5 or Ableton Live, the possibilities of mixing, matching and overlaying vocal and instrument samples is truly endless. If you have any tips, tricks, tools or techniques, step up and share your knowledge. We’d love to see them and so would everyone else.